For a company that finds itself in a difficult financial position, the desire to keep the business going and, for a time, save people’s jobs can sometimes result in accounting practices that is intended to keep the company afloat. In other instances the desire to secure a loan or other financing may motivate a company to be rather optimistic in its financial positions so that it can borrow on more favorable terms. Furthermore, if a company is preparing for an IPO or for financial investors, it may pay to be bullish on the company’s finances. However, in some cases good intentions, optimism, or ambition can cause directors, accountants, owners, or principals to cross a line beyond merely presenting financials in the most favorable light that is reasonable. If you are facing charges for falsifying business records you are facing either a class A misdemeanor or a class E felony. When facing serious criminal allegations, working with an experienced criminal defense attorney who understands the standards of proof necessary and who will fight to protect your rights can increase your chances of a favorable outcome. 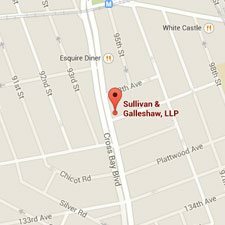 At Sullivan & Galleshaw our attorneys are dedicated to fighting for those accused of serious criminal wrongdoing. 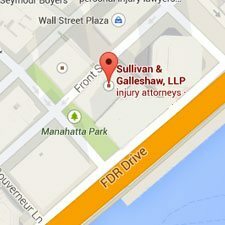 How does New York define the crime of falsifying business records? Enter or be the cause of a false entry into the business records of company, partnership, corporation or other entity. Despite having a known duty to keep true and accurate business records due to the nature of the occupation, position held, or operative law the individual fails to do so. Accurate and true entries in records of a company are altered, deleted, or otherwise made inaccurate. The crime can also be charged in the first degree, a class E felony, as per §175.10. The first degree version of the crime requires that the elements of the second degree crime are present plus the intent to defraud also included the intent to commit additional crimes to hide or facilitate that falsified records. For instance, altering the records of a company with the intent to defraud would likely constitute second degree falsification of business records. However, if the records were alerted and false financial statements were issued to hide or facilitate the commission of the crime, a class A misdemeanor under §175.45, then charges for the first degree version of the crime would likely be advanced. What are the potential penalties if convicted? Class A misdemeanors can, after conviction, be punished by conditional discharge or up to a 1 year conditional sentence. Because the first degree version of the crime is a felony, the punishment is significantly more severe. If this is the first felony you have been convicted of, you could face a minimum of 1 to 3 years in prison and a maximum of 1.33 to 4 years. If this is your second felony you could face, at minimum, a 2 year determinate sentence. At maximum, you could face up to a 4 year determinate sentence. Are there defenses to charges of falsifying business records? Yes, an experienced criminal defense attorney understands that the prosecution must prove each and every element of the crime beyond a reasonable shadow of a doubt. Therefore, he or she will look for inconsistencies and weaknesses in the prosecution’s case and use these weaknesses to show why conviction is inappropriate. Aside from ensuring that the burden of proof is sufficiently carried, it may be appropriate to raise an affirmative defense. It is important to have a lawyer who understands and is familiar with the law because if you do not raise affirmative defenses in a timely manner, you will lose the right to use it. For example it is an affirmative defense for employees, such as a bookkeeper or clerk, that they merely executed the orders of their boss or supervisor while gaining no personal benefit. When your freedom and reputation is at stake, the matter is too important to muddle through alone. Working with an attorney can help make you aware of the full extent of your legal options and strategies. Broadened legal options can often result in a more favorable disposition to the matter. 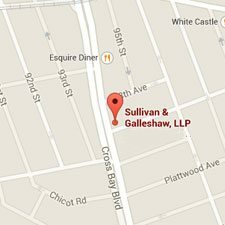 To schedule a free and confidential initial consultation contact the attorneys of Sullivan & Galleshaw by calling (800) 730-0135 or contact us online.